In-depth: Is creativity in radio advertising long dead? If asked to name some truly memorable radio campaigns, one will be hard pressed to name more than a handful. While, print and television has an array of iconic ad campaigns, radio somehow has been overshadowed and not many break-through creative campaigns have come from the space. There is no denying the fact that when done right, audio has the power to transcend barriers such as time, place and age and connect with people on a deeper level. The jingles and songs of the yore are a testament to that fact. While a few agencies that have people who understand the medium have tried to revive the creativity in the medium and have also won awards, it pales in front of the sheer mass of work coming from other quarters such as television or now digital. So, what is holding radio back when it comes to creativity? Are brands not willing to invest in a good radio campaign? Is it the agencies that are unable to use the platform to its full potential? Or is the medium itself responsible for holding back creativity? How difficult is it to create memorable advertising through radio? BestMediaInfo.com spoke to the creative heads, brand custodians and radio stations to understand where the problem lies and what could be the solutions. According to the Madison Advertising Outlook 2017, radio accounts for 3.6 per cent of the total advertising pie in India. Not only is radio the second fastest growing medium with a 13.2 per cent growth rate (second only to digital, which has a growth rate of 42.9 per cent), ad spends on the medium amount to Rs 1,545 crore. Experts feel that despite the huge reach that radio provides, it still remains a support medium in the media plan and it's not the mainstay for advertisers compared to print or TV. Surendra Bajaj, Vice-President Marketing, Lux Industries, hails radio for the reach it provides and the fact that it allows for customisation. “The reach of radio is very high and it allows one to reach out to the grassroots level. One of the biggest advantages of radio is the fact that it is a mobile medium and it allows for customisation. For example, if you are doing an activity in the South of India, the entire activation will be in that particular language. Therefore, radio is a great secondary medium and can be used as a support medium for the television and print campaign that a brand runs,” said Bajaj. According to Ashish Khazanchi, Managing Partner, Enormous Brands, the fact that brands see radio as a support function and not as an integral part of their larger media and communication plan is in itself the root cause of the problem. “Radio has always been viewed as a medium that will do the job of reminding the audience of the main message that is given out through traditional media such as television and print. Radio is a medium with a fair amount of reach and engagement but people don’t see the potential of the medium,” said Khazanchi. Another problem that arises from brands not according the same importance to radio as television or print or digital, is cost cutting. According to Neeraj Chaturvedi, Group CMO, Housing.com, PropTiger.com and Makaan.com, another big challenge when it comes to radio campaigns is the fact that many radio stations today create and produce ad campaigns in-house. While brands show active interest in their television or digital communication, the same luxury is not accorded to radio. When it comes to radio campaigns, brands are happy to hand over the creative reins to radio stations. Part of the reason is the fact that in-house production means less cost and brands would rather put their monies in traditional media rather than on radio. When the top three advertisers on the medium are real estate, FMCG and BFSI and the rest of the chunk is made up of local players, creativity is far from the immediate needs of the brands and what they want to achieve from their communication. For real estate, BFSI and other local brands, the priority is to get across their main message to the consumer. With limited budgets and not much scope for creativity, the outcome often is very direct and functional ads that get the point across. “A decade back radio was relatively inexpensive and clients were willing to experiment with highly creative stuff. Today, at a time when every penny is counted, the balance has tilted. Radio channels also offer deals to brands, which include scripting and in-house production at a much lower cost. This in turn is not a great solution because the radio channel’s primary competence is not advertising,” said Rahul Jauhari, Chief Creative Officer, Rediffusion Y&R. While the creative fraternity sees this as a problem, Radio City’s Kartik Kalla who is the EVP and National Head, Programming, Marketing and AudaCity, Radio City 91.1FM has a different take on the matter. AudaCity, which was set up last year, is Radio City’s one stop shop for all the creative needs of their clients. “While there has been a notion that radio creativity has plateaued, the radio players are looking out for unique options to maintain the creative standards in the industry. We at Radio City have been running some very interesting campaigns for brands like OLX, Asian Paints, Amazon to name a few that go beyond radio. We have created campaigns with musicals, jingles and ideas that amplify the impact of the brand and resonate with our listeners,” said Kalla. Just like city Radio Mirchi too has its own dedicated team to cater to their client’s creative needs. Shweta Iyer, National Creative Head, Brand Solutions, Radio Mirchi, feels that the sheer volume of work that comes out from every radio station means that listeners are bombarded with so much content that it becomes difficult for them to remember any one campaign or communication. “With television when one creative is made, it is played on every channel. So when people see the same creative on five different channels, the recall is much higher but with radio a lot of creative that does come out is self-created work. So, there is so much content that even if there are a few good pieces it just gets missed in the crowd,” said Iyer. Unlike print or television or digital, radio, as a medium, does not have the luxury of a visual. An audio-based medium, the script of a television campaign is often adapted for radio without taking the limitation of the medium into account. There was also a time when an audio personality for a brand was very important. Jingles, be it the Nirma tune or the Vicco song, hold a special place in the hearts of people even today. In an earlier article, BestMediaInfo.com explored how jingles might be a dying art. This could also be affecting a medium like radio that is so audio-centric. “While radio is a great medium when it comes to penetration, it has its limitations in comparison with audio visual and digital media. Television and digital space provide a lot more flexibility, when it comes to the creative content. Therefore, in most cases, radio supports the media plan that primarily consists of television and digital, with minor alterations in content to suit to the medium, i.e. 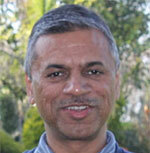 radio,” said Rajeev Jain, Associate VP, marketing, DS Group. Voicing similar concern is Chaturvedi who feels innovation is lacking as people do not understand the strengths and weaknesses of a medium like radio. Also, when most of the agency guys are television or digital guys who are not sound specialists, the skill set needed to exploit the medium for its strengths is in short supply. “What I see in radio today is a rush to fill in the space with words that are not required. All you need is a creative hook to make people tune into the ad and deliver the message. I see that balance is missing,” said Chaturvedi. Every starry-eyed newcomer who joins the advertising industry comes in part for the glory and the recognition as much as they come to satiate their creative yearnings. Khazanchi feels that radio somewhere falls short on the glamour yardstick. “When someone does a great television campaign, it is very visible. People start getting recognised in their agencies and also in the advertising industry. Radio, on the other hand, is something you have to do out of sheer passion. Great radio campaigns are not acknowledged or recognised as much as a great television or print campaign,” said Khazanchi. When radio came into being, it was more of a public medium. People consumed it in groups outside ‘panwadis’ and inside homes. Today, radio has become a more personal medium. People consume radio in their cars or through headphones while travelling. The concept of public consumption of radio content is slowly being wiped out. While this aspect is true, another side of the coin is ‘shareability’ and virality. Today, the worth of any content is not measured by what the idea says but by how viral or shareable the content is. Manish Bhat, Founder Director, Scarecrow Communication Ltd, feels that the commercialisation of content and the shareability aspect is impeding creativity when it comes to radio campaigns. “I think the radio space is over commercialised. There has to be a balance between curated and popular content because popularity does not capture the long-term utility of anything. It is always about what will be a hit overnight. Due to the digital’s miserable popularity, ‘views’ have become more important than quality,” said Bhat. The digital nature of things today has made ‘sharing’ an important aspect of popularity but radio suffers because of its audio only nature. The recent rant by RJ Malishka against potholes on the roads of Mumbai became an instant hit and even spawned other similar videos. But the important thing to note here is that it was accompanied by a video. While audio content is shareable– for example, the ‘Mirchi Murga’ audio bytes that one chances upon occasionally on WhatsApp – it is still rare. While there are many who think creativity is lacking in radio campaigns, radio stations believe that is not the case. Vineet Singh Hukmani, MD and CEO, Radio One, is of the view that despite being a medium that doesn’t have a visual aide like television and other mainstream mediums, radio ads are more creative. Probably more creative because of that very limitation. “Advertisers on Radio One use it as an engagement medium as opposed to using the other mass stations for reach. Every brand on Radio One has been pushing creative potential. The multiplier effect of Radio One and social media is highly innovative and used creatively by clients,” said Hukmani. 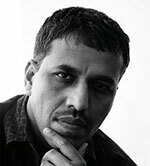 Harrish Bhatia, CEO, My FM, is also of the view that there is no dearth of creativity when it comes to radio campaigns. Pointing out that a lot of Indian radio campaigns are getting noticed at the national and international levels, Bhatia feels the lack of an accepted measurement currency could be the problem. “Each media vehicle has its own USP similarly and radio has its own strengths, i.e. it reaches the last mile. Today most of the categories and brands are active on radio, in fact if we see for certain categories, the spends on radio have increased. Radio will gain even more importance once we have an industry-accepted measurement currency, we all are working towards it,” said Bhatia. While Radio Audience Measurement or RAM is in place to measure listenership since TAM Media Research expanded its services in the year 2007, the results of RAM are often disputed over and not accepted by everyone on face value. In the times of BARC and ‘views’, a trustworthy measurement becomes very important as where marketers put their money is largely being governed by data. According to the Madison report, for the year 2017, the growth forecast for radio is 15 per cent, which will take radio ad spends close to Rs 2,000 crore. While it cannot be denied that the medium has potential, maybe what it really needs is for people to wake up to that potential. Tags: In-depth Is creativity in radio advertising long dead?